Hitting the links never feels so good as when you do it with total confidence. Knowing every blade of a course gives an immense feeling of accomplishment that resonates in your game. With golf GPS apps and devices, any course can be played with total familiarity, even if you’ve never set foot on the fairway. These apps and devices add a touch of augmented reality to provide a powerful experience. Whether you are looking to excel at a new course, push the limits of your favorite, or just have a relaxing day on the fairway, these devices can help. Not convinced? Consider these following 5 reasons you should be on board with a golf GPS. GPS has come a long way in the past 10 years. What was once a sort of novelty for geocachers has expanded to be a common part of every digital technology. Much like a typical GPS a golf GPS uses satellite data and tracking software to triangulate a location. Built into a watch, a smartphone, or other handheld devices, the system gives powerful and precise information about a course. Some services boast as many as 40,000 courses in the library and those libraries are growing. Topical displays and features different from one device/service to the next, but in general they all serve the same purpose, to improve your game by adding vital information. Let’s explore what these features provide in the following list. If you have played with a caddy, you know how invaluable they can be to explaining the features of a course. They also know what clubs to recommend given the terrain, weather, and other conditions. They provide a valuable service that often only the pros and semi-pros get to benefit from. With a golf GPS, you have the next best thing at your disposal. You can store information about your average swing distance with each club and the programs can recommend clubs based on distance and situation. Even if you don’t use a swing analyzer knowing where the water hazards are, the distance to the hole, curvature, and grade of the fairway, in addition to other factors, will let you make better decisions and give you that professional experience. If nothing else, these programs offer a second perspective, a voice outside your own. Being able to keep that kind of objectivity can do wonders for keeping you focused on the game. Familiarity with a course, as mentioned, gives a lot of advantages for not only playing a good game but enjoying the game you play. While it can take many plays on a course to get into the mindset of playing the strengths and avoiding the traps, a golf GPS can provide that info up-front. Knowing not just the distance to the hole, but where the rough starts, where the water and sand hazards are located, and the slope of a green can all contribute to a solid game. When you land a ball outside of the fairway and need to orient to the hole and push hard to recover a stroke GPS knowledge gives an advantage. The kind of advantage that normally only comes with repeated experience. You may have different objectives for a game, be it simply to enjoy the day or improve your overall game. Either way, utilizing a golf GPS can improve the flow of your game and the speed of play. This is not to say that the apps will rush you, just that you won’t’ have to spend valuable time measuring, eyeballing, or considering distances. No need to walk and pace and stare at the clubs to think about the situation when the information you need can be present. This puts more of the time you spend playing the game into playing the game. Taking a single stroke off a rough hole can have a ripple effect on the whole day. When you come up with a strategy and finish a tricky shot, you feel that sense of accomplishment from improvement. These types of achievements come more readily when you have the information you need at your fingertips. One of the greatest values of an app or device comes from its utilitarian nature. You decide how it is used, so you decide what enjoyment means to you. While improving the game might be a benefit for some, spending more time really playing the course might be best for others. Don’t lose sight of the forest for the trees, so to speak. With a golf GPS, you can plot out your whole game moving from hole to hole before you get to the site. Then you can measure and make your play against your ideal strategy. This kind of tactical planning and execution brings a lot to a game. Golf GPS apps and devices help catalog information as you go. With help from swing analyzers and scorecards, you can see where your best lies fall and where you need improvement. Analysis can help you see where you went wrong, see what you did right, or figure out which club choices should change for the future. If nothing else, a digital record can help you recall what choices you made when memory fails. Some apps even let you list your scores online. You can use this to chart progress over time, or join and compete on leaderboards to show off your game to others playing the course. Propel your game into the 21st century with cutting edge tech and the knowledge to utilize its potential. 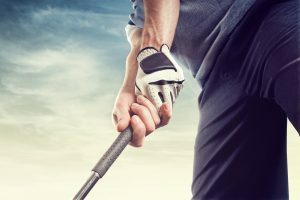 If you are interested in golf GPS, or any of the other emerging digital technologies that are shaping modern golf game, check out our Golf Talk blog. We have product reviews and guides for a lot of golf equipment, accessories, and apparel.